Breeders' Cup Classic runner-up Toast Of New York is to make a shock return to action at Lingfield next week, trainer Jamie Osborne revealed on Wednesday. 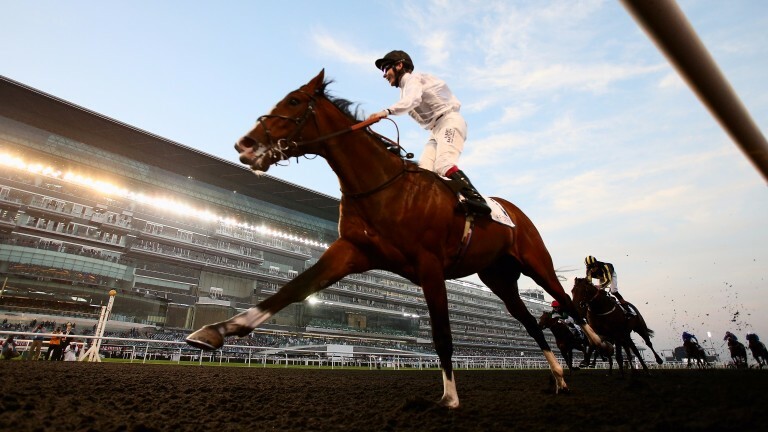 The Al Shaqab-owned colt, who retired to stud in Qatar in 2015 after sustaining an injury that prevented him from running in the Dubai World Cup, will be entered in the Class 2 Betway Conditions Stakes at Lingfield next Wednesday. Osborne, speaking on At The Races, said: "Toast Of New York is back with us and tomorrow he's going to be entered in a race at Lingfield next Wednesday. "He hasn't run for three years – he's been to Doha and spent time out there. I'm very grateful to Al Shaqab and their team, and Harry Herbert, for allowing me the chance to have another go with him." The son of Thewayyouare went from winning a Wolverhampton maiden to landing the UAE Derby in 2014 in the colours of Michael Buckley. The colt then produced a career best when finishing a nose behind Bayern in the 2014 Breeders' Cup Classic. Injury prevented him from taking his place in the Dubai World Cup in 2015 but Osborne is hopeful his one-time stable star can do himself justice on his return to the track. "He's six, but he's only had eight runs in his life, he's been training very well so let's have a go with him. He's been a life-changing horse for me, and to get another chance to train him is wonderful," Osborne said. "Jimmy McCarthy has been a huge part of bringing him back – he's got three children, Thomas, James and Toast – Toast being the eldest, and he seems to think the spark is still burning."